American latin-funk band from Austin, Texas. 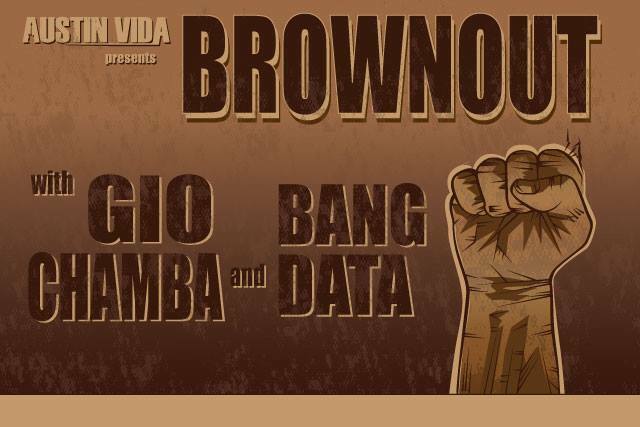 Formed fifteen years ago by members of Grammy Award-winning Latin revival orchestra Grupo Fantasma, Brownout has evolved into a musical force all its own. After garnering their third Austin Music Award last year, the band has continued to produce music that is unflinchingly progressive, while evoking the classic influences of artists such asWAR, Cymande and Funkadelic. They’ve performed at events including Bonnaroo, High Sierra Music Festival, Pickathon, FFFFest, Bear Creek Music Festival, Utopia Festival and Pachanga Fest, while regularly touring the U.S. Brownout’s also served as a highly in-demand backing band for artists including Prince, Daniel Johnston, GZA and Bernie Worrell.